E10GSFPSR Intel SFP+ Transceiver (Fiber) 10GBASE-SR Modules, Certified 100% compliant in all OEM applications. Axiom's Intel E10GSFPSR SFP+ Transceiver (Fiber) 10GBASE-SR modules, certified to be 100% compliant in all OEM applications. All fiber transceivers are pre-configured with an application specific code to meet the requirement set forth by the router and switch OEMs. 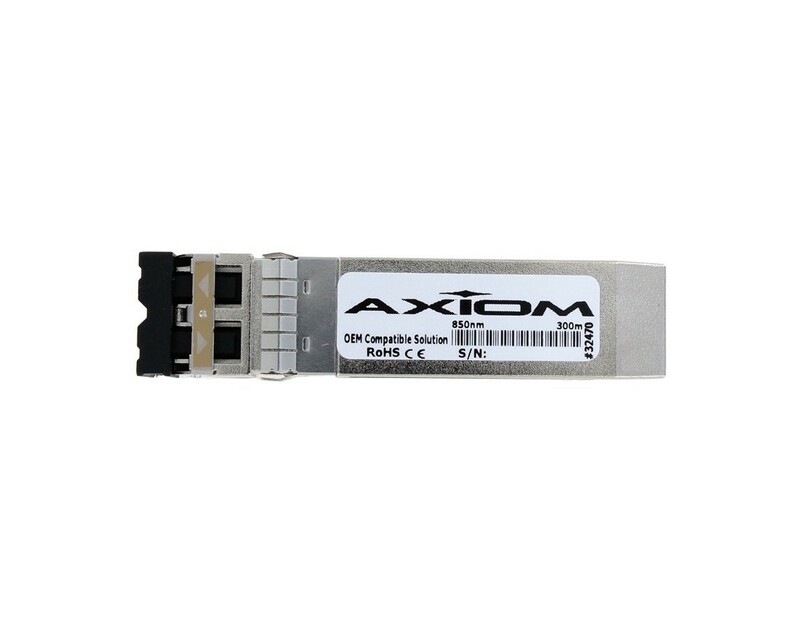 Axiom's compatible transceivers perform, fit and function identically when compared to “Original” Transceivers. Our transceivers fully comply with the multi-sourcing agreement (MSA) which enables them to work in all MSA compliant platforms. Axiom brand transceivers also function with other brands within the same network.